The man convicted in the brutal killing of the immigrant owner of a massage parlor in Mesa was sentenced to death by a Maricopa County grand jury. James Clayton Johnson, 33, had been found guilty in a jury trial May 17, but jurors heard several days of testimony before deciding on his penalty Wednesday. 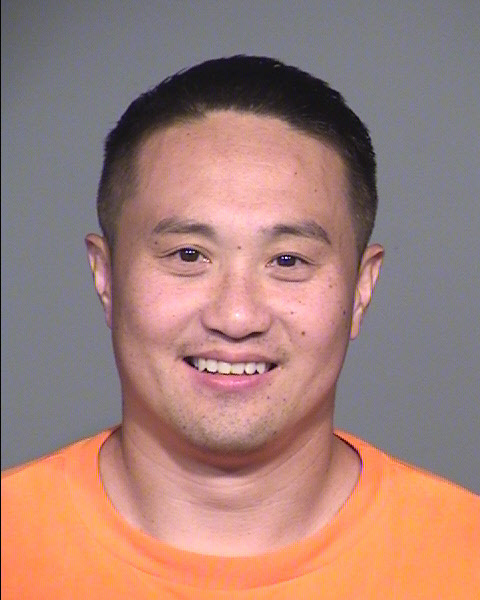 Johnson was arrested in December 2010 and eventually was found guilty of first-degree murder, first-degree burglary and kidnapping in connection with the Dec. 7, 2010, death of Xiaohong Fu at her Taiwan Massage Parlor, near Baseline Road and Loop 101 in Mesa. Closing arguments in the penalty phase of the trial earlier this week focused on Johnson's criminal record and possible lingering effects of the Columbine High School shooting, which occurred when Johnson was a freshman at the school in Littleton, Colo.
Johnson's attorney emphasized the trauma of the shooting and presented 22 witnesses to speak on his behalf, also saying Johnson was known for heavy use of drugs such as Xanax, Benadryl and Ecstasy that would put him in a stupor. The prosecutor emphasized the inconsistencies in the witnesses' statements and said Johnson leaned on his Columbine trauma whenever he acted out. Photos of the scene at the massage parlor showed Fu's body bound with zip ties with gashes on her throat and stomach. Crime-lab technicians linked Johnson to the crime through blood found on the zip ties. Prosecutor Kristin Larish said she had no doubt Johnson was alert and had crime on his mind when he entered the massage parlor on the day of the murder. He paid $20, had zip ties in his pocket and a gun. He knew Fu would take him behind a secure gate, she said. "This does not sound like a man who does not know right from wrong," Larish said. Images of the murdered woman appeared during Larish's closing arguments, showing the deep gash in Fu's neck, her sliced hands and a detailed symbol carved into her skin. Larish said Johnson committed an armed robbery at a Gilbert Christmas-tree lot that occurred five days after the murder in hopes that he would be in custody before someone could connect him to the murder. Defense attorney Robert Reinhardt focused on the argument that the Columbine shootings traumatized Johnson and as a result he had been in trouble ever since. He referred to the defendant as Jimmy throughout his closing statement, emphasizing that not only should the jury decide the fate of the person Jimmy is but the boy he once was, growing up in a loving household. "This was a child going to a school in an area where things like this don't happen," Reinhardt said. Johnson had been adopted as an infant, but Reinhardt said Johnson's biological parents were alcoholics. Reinhold disagreed that the murder was planned, calling it an amateur robbery gone wrong. Reinhardt said the language barrier could have been a factor in a chain of events that spiraled into murder. "A life sentence is not lenient for a 33-year-old." Reinhardt said. "Jimmy is much more than his criminal record." Instead of showing the brutal crime scene, he presented them photos of Johnson from high-school football and wrestling, a photo of his family including his ex-wife and newborn child, and a photo of him as a young child riding a rocking horse. "It's been a long trial," he said. "It's no surprise that I'm asking you to sentence him to life." Prosecutor Larish told the jury that although family and friends speaking at the trial had emphasized the good in Johnson before the Columbine tragedy, those were "vanilla-flavored details." Johnson already had been suspended for fighting during his freshman year before the shootings in April 1999, she said. When Johnson spoke about the school shooting, Larish said he felt sorry for the gunmen because they had been bullied, pushed against lockers by others. When he was a junior in high school, Johnson was part of a road-rage incident, pointing a BB gun at another car of students, she said. Larish said his parents and friends defended him by saying his grades and good behavior fell after the shootings, but she noted how he had raised his grades in the final semester before graduation and had told prosecution experts that he could have had better grades throughout high school if he hadn't put the social aspect first. She cited inconsistency from witnesses, saying they would answer differently when being cross-examined, change their answers or say they didn't know. High-school friends who took the stand made note that they never kept in touch with him after high school, she reminded the jury.